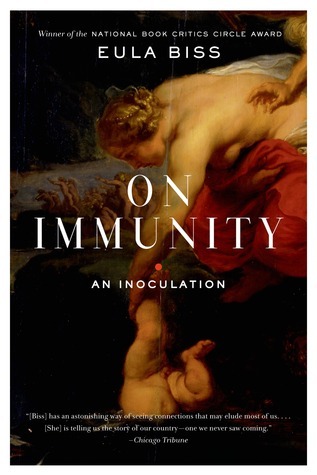 Eula had a baby boy and a whole world of debate and opinions on immunization opened up to her. She grew up the daughter of a physician who was pretty hands off (I like his theory that most things will get better if you do nothing. Most of the stuff that won't get better, will kill you no matter what you do.) She is skeptical of the anti-vaccinators and give excellent reasons why they are wrong, without being disrespectful or harsh. The main arguments are: there is no real proof that anything in any vaccine is dangerous, even when bunched together (and in fact there's plenty of proof there's nothing at all dangerous, it's just hard to prove a negative.) And the consequences of not vaccinating, if illness does arise, is horrific. The book is short, well-written, accessible although also chock full of science. I liked how much she related it to her own life, but the topic has far-ranging implications. I bought this book at Quail Ridge Books, an independent bookstore in Raleigh, NC.